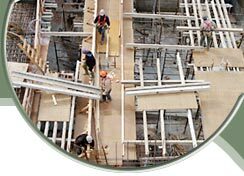 that all routes available to qualify for a Construction Skills Certification Scheme (CSCS) card at the appropriate level are explored. personnel are engaged upon the correct course or qualification aim and achieve the qualification or award over the most appropriate time scale. companies are getting the best possible service and financial package from training providers. the maximum CITB grants applicable are obtained for personnel. membership of appropriate Professional Institutions is obtained. cost effective company training plans are produced.